In the stomach, hydrochloric acid converts pepsinogen to pepsin, an enzyme that breaks down protein. Pepsin breaks down proteins into smaller, more easily absorbed substances. As people age, hydrochloric acid secretion may be reduced, which can result in decreased levels of pepsin. Without proper pepsin levels, the body has a difficult time digesting food. 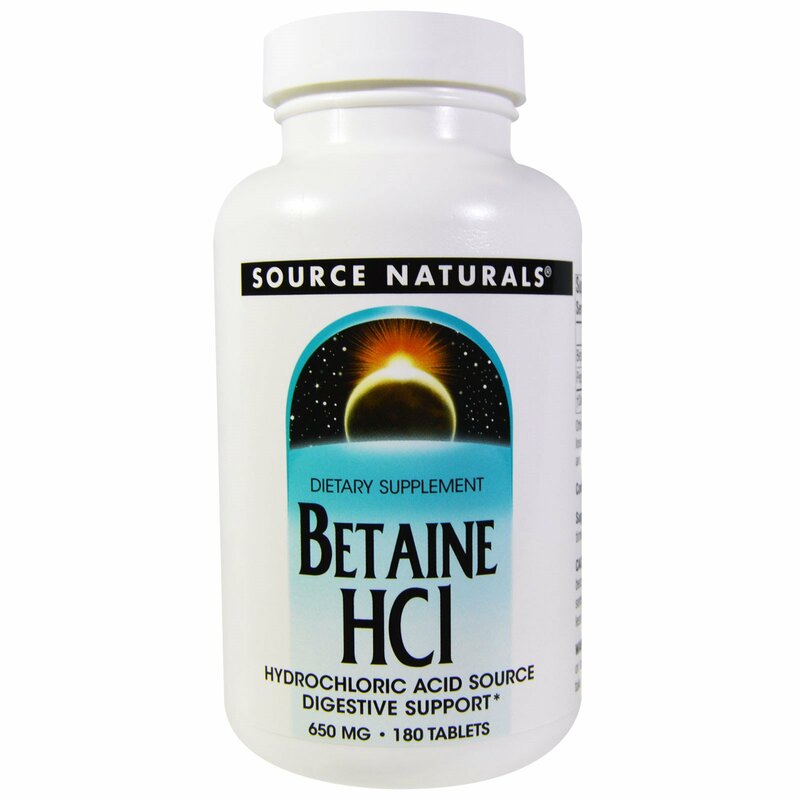 Betaine hydrochloride is used as a supplemental source of hydrochloric acid, which can be utilized by the stomach to produce pepsin. The combination of betaine hydrochloride and pepsin provide an excellent stomach tonic. 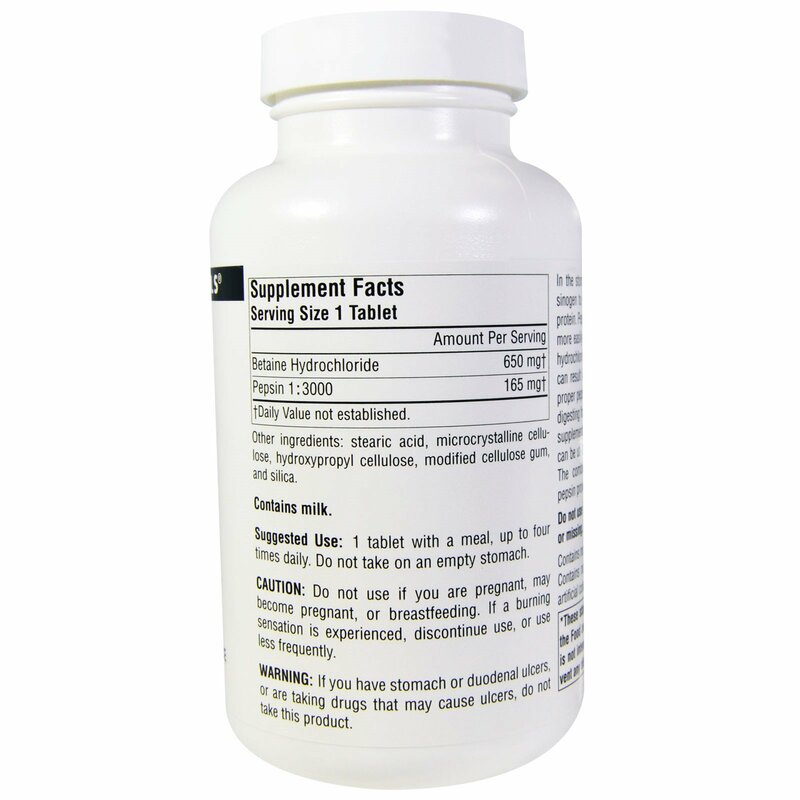 1 tablet with a meal, up to four times daily. Do not take on an empty stomach. Stearic acid, microcrystalline cellulose, hydroxypropyl cellulose, modified cellulose gum, and silica. Contains no yeast, egg, gluten, corn, soy or wheat. Contains no sugar, starch, salt, preservatives, or artificial color, flavor or fragrance. Caution: Do not use if you are pregnant, may become pregnant, or breastfeeding. If a burning sensation is experienced, discontinue use, or use less frequently. If you have stomach or duodenal ulcers, or are taking drugs that may cause ulcers, do not take this product.